Committing aid and technical assistance to the Syrian opposition must be matched with a commitment to good civilian protection and security practices. The opposition’s legitimacy among its own people depends on many things, including a) not causing harm and b) offering protection in the midst of lethal threats. As an overarching recommendation, an inspector general should be appointed with the authority, expertise, and resources to independently monitor and report publicly that this assistance is not being used against civilian populations. US officials should also publicly convey that it will withdraw support if there becomes evidence of acts of revenge against Alawite or other religious or ethnic minorities understood to be supportive of the regime. From our extensive interviews with the armed opposition, we know that they are open to and would benefit from training on civilian security and protection. 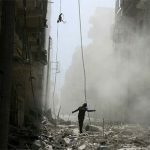 What follows are top priorities for offering technical assistance for both avoiding civilian harm during offensive operations, but also while providing civilian security in the midst of attacks from the regime. NOTE: As a foundation for escalating or initiating training on these issues, the opposition should publicly commit to minimizing civilian harm during their operations. The opposition critically needs operational understanding of International Humanitarian Law (IHL) and International Human Rights Law (IHRL). This cannot only mean detainee treatment, trials, and prohibitions on extrajudicial killing. It must also mean an understanding and ability to avoid civilians during operations. The armed opposition has certainly caused civilian casualties, and has sometimes violated IHL. 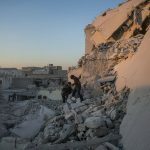 Whatever civilian harm has been caused—whether “collateral damage” or unlawful casualties—such incidents can hamper the legitimacy the opposition desires among the Syrian people. Even lawful harm must be minimized. Thus, fighters all the way down the chain of command must know not only what the laws are, but also how to apply them and how to go beyond them in the heat of combat operations to avoid harming civilians. b. Operational understanding of targeting: IHL provides guidance on acceptable targets in combat operations. Any training should ensure that application of IHL is fully understood and targets are fully vetted before launching attacks. This training should also focus on actions armed opposition members can take to ensure they are not unintentionally putting civilians in harms way, for example, by firing from their homes, places of business, hospitals or schools thus blurring the line between civilian and military use. Some of these problems can be addressed by training on responsible force protection and other tactics that will help them avoid civilians. c. Tactical patience: The armed opposition is the de facto representative of the transitional government across Syria. Their actions will be remembered by the individuals and communities they affect. In many cases the armed opposition may have little or poor intelligence capabilities on targeting or defensive firing, which may lead to increased civilian casualties. The concept of tactical patience should be a part of training. US commanders from Afghanistan post-2009 have extensive experience with operationalizing this concept. The battlefield is remarkably complex. There are probably hundreds of different groups operating on the ground with different ideologies or worldviews, and varying levels of training in IHL/IHRL, military tactics, weapons use, and targeting. Add to this that Syria is now awash in weapons both from supportive states and smugglers. This is an incredibly dangerous situation for civilians. Developing a more coherent command and control structure can minimize some of that risk. Technical assistance should help create a chain of command that makes sure everyone from the top officer to the new fighter is on the same page, understanding the importance of civilian protection and how to do it. There should be ways to hold accountable fighters that violate what’s passed down. To train only the leadership without a plan for educating the lowest ranking fighters risks tactical failure and makes any progress at the top a mere fig leaf rather than real adherence to civilian protection. Some manner of civilian harm tracking mechanism would enable the armed opposition to document any civilian harm they cause as a part of their combat operations and factually garner evidence of the harm caused by the regime. While the armed opposition likely lacks the communication equipment and technical capacity to set up a full civilian casualty tracking mechanism (as has been done by ISAF in Afghanistan) they could—with the assistance of the US military trainers with this expertise—set up a rudimentary system where fighters could report to a central, simple database by phone call or cell phone and text the time, date, location and known details for any possible civilian casualties. In the present, this information would inform opposition leadership about civilian harm occurring as a result of its own operations, while also keeping record of regime-caused casualties. Post-conflict, any resulting interim government would be able to identify civilians in need of help and ensure accountability in any reconciliation processes. As part of the assistance provided to the National Coalition of Syrian Revolution (NCSR), the US should encourage a program to provide monetary, in-kind, livelihood, medical and/or psychosocial assistance to all civilians harmed as a result of the conflict. Planning for this is not something that can or should wait until the conflict ends, as civilians will need help immediately post conflict. 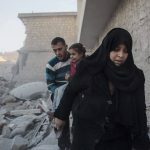 Getting Syrians back on their feet will help stabilize the state, even in the midst of tremendous tragedy and mourning. This is a daunting task, but is a positive first step to ensuring that Syrians see goodwill from their new government, regardless of their confessional or political affiliation. Civil society organizations can help identify the extent of harm and top priorities for aid. Useful lessons come from Libya and Nepal. The Libyan Transitional National Council set up a program to pay for the medical expenses of those injured in the conflict. In Nepal, families received interim financial assistance for those killed, disappeared and/or injured. However, that program was only nominally effective because of the length of time between the end of the conflict and the provision of assistance. Importantly, the US should also work with the NCSR to create a strategy now to secure loose weapons including securing stockpiles, unexploded ordnance and small arms. We only need to look at Libya and the proliferation of Qaddafi-era weapons to see the destabilizing effects of loose weapons. Syrian rebels will most certainly benefit from the provision of non-lethal material support pledged by the US, in the form of food rations and medical supplies. However, it is no secret that Syrians and many others are calling on the US to also provide small arms and advanced weapons. This option presents a great risk of civilian harm, particularly in the long term. The armed opposition is fragmented and lacks a unified command structure. This reality poses serious concerns about the opposition’s willingness and/or ability to comply with international humanitarian law. The uncontrolled provision of arms carries risks of causing considerable harm to civilians, including post-conflict. Specific risks include misuse and unintended proliferation. End users are difficult to vet, while the weapons themselves are nearly impossible to track. Both sides in Syria are heavily armed already. Multiple states have already undertaken this option in limited form. Thus, providing additional arms to the rebel forces may not make an appreciable difference in ending the conflict.